The last time we brought you a Safety Harbor Business Beat, the big news was Barfly Saltwater Grill relocating to the prime spot in the Harbour Pointe Complex and the impending opening of Gigglewaters, a speakeasy-style bar and restaurant with a screening room in the rear. Thirteen months later, Gigglewaters recently opened its doors at 737 Main Street, and as several establishments in town have either debuted or changed menus and/or owners, this edition of the Business Beat will focus on the bars, restaurants, cafes and coffee bars that fall into the above categories. If we missed any, please let us know in the comments below. 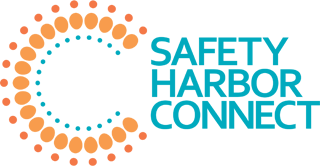 And look for another Business Beat focused on retail and other establishments in the Harbor soon! 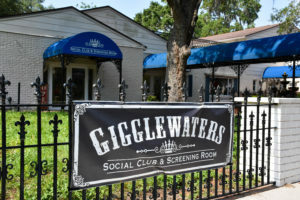 Gigglewaters Social Club and Screening Room recently opened at 737 Main St. in downtown Safety Harbor. When we broke the news that a pair of married former entertainment industry vets from New York City wanted to open a speakeasy-style bar and restaurant, featuring a menu of Americana favorites “kicked up a notch” and a small screening room in the back, the response was overwhelmingly positive. Despite several construction and permitting delays that pushed the Gigglewaters opening back a year, Richard Wilson and his wife, Rachel, finally opened the doors at 737 Main Street on May 21, and in the two weeks since, the public reaction has been overwhelmingly positive. “We had a 45-minute wait just to get to the bar the other night,” Richard “Rich” Wilson told Safety Harbor Connect earlier this week. Gigglewaters owners Rachel and Richard Wilson. 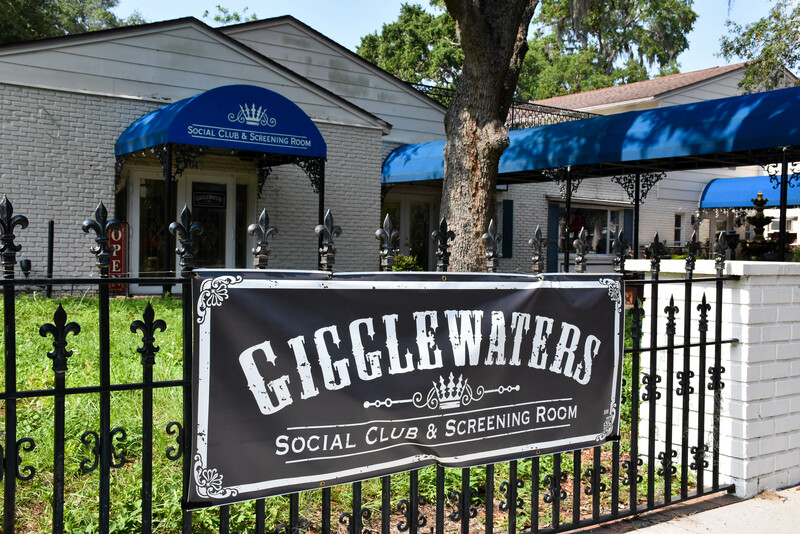 Wilson, a former senior writer and producer for the Howard Stern Show, said the key to Gigglewaters’ success is simple: provide high-quality food and drinks and excellent service. “We don’t skimp on anything here,” he said, noting they use giant two-and-half-inch ice cubes in their drinks, Wagyu beef for their burgers and other top-shelf items and ingredients. 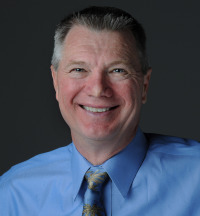 Wilson noted he is already getting a ton of repeat business due to the exceptional customer service from his staff. 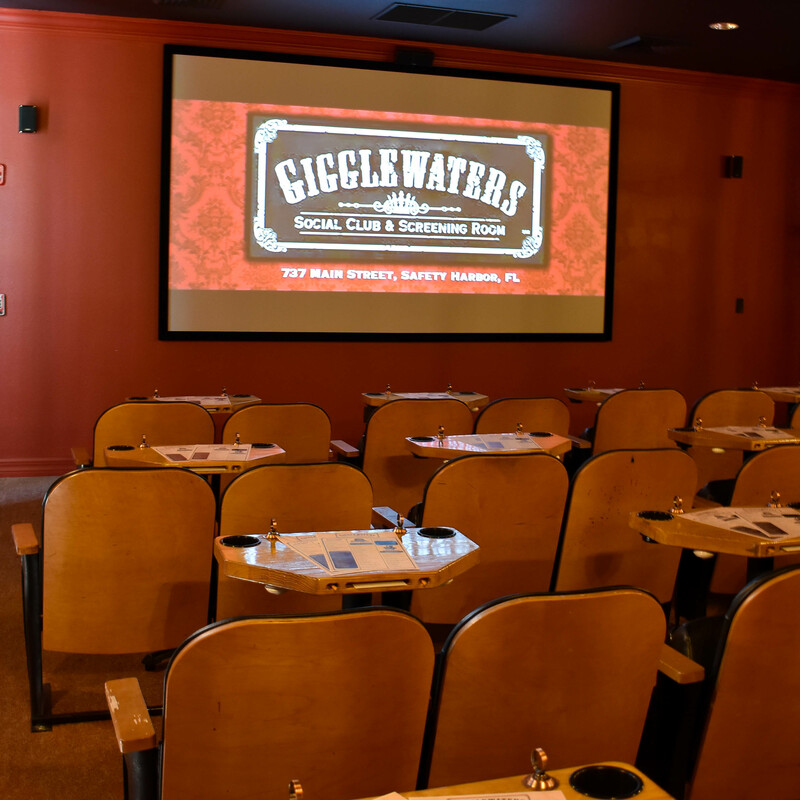 The 32-seat screening room at Gigglewaters will offer full menu service and feature a wide variety of flicks, according to owner Richard Wilson. 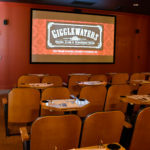 As popular as Gigglewaters has proven to be in the short period it’s been open, it promises to get even busier after the screening room officially opens on July 1. Wilson, a movie buff who littered the menu with film-related titles and christened the 32-seat screening room with a private showing of Star Wars, said he plans to hold three screenings a day—at noon, four in the afternoon and 7:00 p.m.—featuring a different movie, and genre, every day. “We’ll run the gamut, from classics like Gone with the Wind and the Wizard of Oz to silly comedies like Airplane and Spaceballs,” he said. 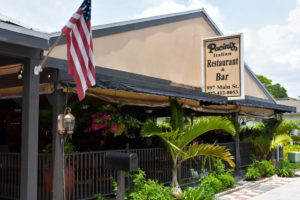 Pacini’s Italian Restaurant and Bar recently opened at 997 Main St. in downtown Safety Harbor. Driving into Safety Harbor from McMullen Booth Road, motorists are forced to stop at the four-way intersection at Main Street and Tenth Avenue North, making the area a prime spot for a restaurant. Until recently the Safety Harbor Bar & Grill occupied the northeast corner of the intersection at 997 Main St., and though it lasted several years, it never really took off. Now, the owners of Pacini’s Italian Restaurant and Bar hope to turn the heavily-trafficked corner into a downtown dining destination. “My parents owned a restaurant in Boston and vacationed in St. Pete, and they’ve been looking for a location around here for years,” Maria Petrakis explained. 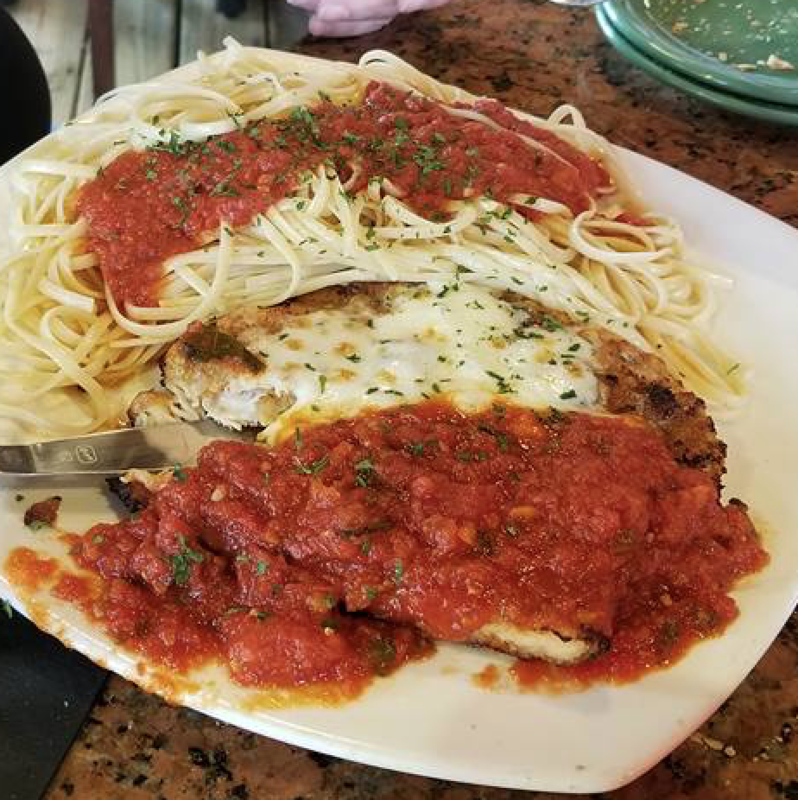 Petrakis said the menu is loaded with Italian favorites like eggplant parmesan, fresh veal dishes and “great” pizza, and features sauces and items made from scratch. She noted that since the restaurant’s soft-opening on May 30, the reception has been terrific. Petrakis runs the restaurant for her parents, who are still involved with the day to day operations, and she said they hope the prime spot and inviting town will prove to be a winning combination for the family. When Sue Cello and Ellen Young sold their downtown Safety Harbor supper club, Cello’s Charhouse, in May 2016, new owners Lori and Andy Holynskyj promised to retain the vibe of the intimate eatery and even kept some of the same menu items. 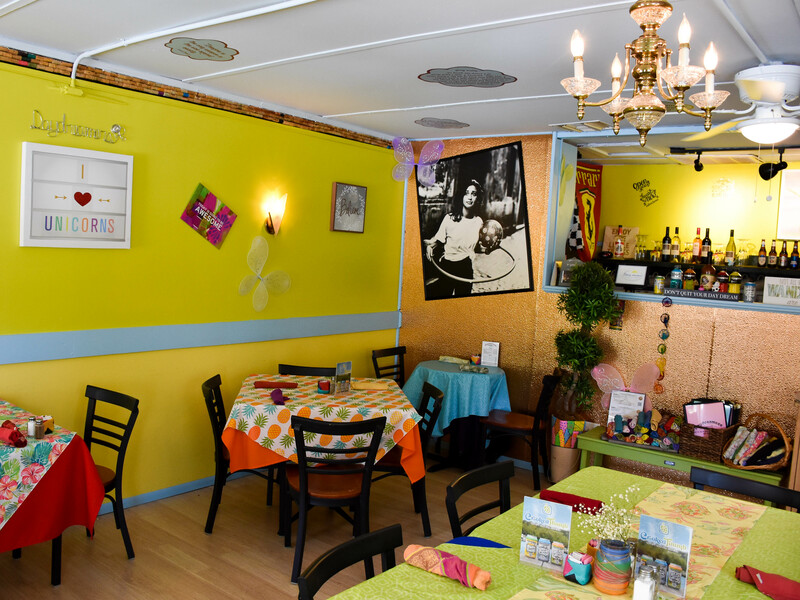 The interior of Daydreamers cafe is fun and colorful. Within a year, the place was closed, and a sign went up last fall stating Daydreamers Café and Grill was coming soon. Instead of sticking with the same vibe and atmosphere, owner Chris Wicks, a longtime restaurant industry executive, decided to upend things a bit when he opened Daydreamers in December. “It’s not white-glove service in here,” the affable Brit quipped. Indeed, the makeover of the cozy eatery’s interior features bright colors, quirky decorations and fun, inspirational slogans, and the menu is “80 percent full of unique stuff,” according to Wicks. “After I “retired” from 35 years of corporate restaurant work—I spent 26 years with Darden Restaurants and eight with the Denny’s Corporation—I was bored and I started thinking, or daydreaming, about opening my own unique brand,” he explained. The inspiration for daydreamers cafe came from owner Chris Wicks’ granddaughter, Aubrey. Wicks said when he saw the small building, featuring a brightly colored mural, at 143 7th Ave. North, he knew he’d found his dream spot. Wicks said during his years in the restaurant industry he always favored working the kitchen, or the “back of the house,” and for his restaurant concept, he came up with a menu that puts a unique spin on old favorites. Daydreamers Cafe and Grill is located at 143 7th Ave. N. in downtown Safety Harbor. Daydreamers also offers $3.00 mimosas and $5.00 Bloody Mary’s, made with a wine-based vodka, all day every day, and Wicks said he uses a number of local products, including coffee from the adjacent Cafe Vino Tinto and baked goods from the nearby Joe Biscotti Bakery. “I’m a firm believer in supporting small businesses,” he said. The breakfast and lunch-only operation, which is also available for private parties, allows Wicks to employ a small but dedicated staff, and he is having so much fun with his new venture he hopes it spawns a mini-franchise. Over the past 18 years, we have been fortunate to live our dream in Safety Harbor and have the opportunity to share it with others…If you frequented us regularly, you became part of our Green Springs Family and we greatly appreciate you…It has been our sincere pleasure, and we’re forever grateful for the countless amazing friends and family we’ve gained…We are passing the Green Springs torch to longtime friends, Tom Golden and Richard Alday, and our brother, Chef Jason Rodis. We wish them well in all the exciting plans they have for Her future. Please go by and welcome them to the neighborhood. Copperheads Tap House The downtown bar located at 670 Main Street underwent an ownership change in March, but the popular hot spot still features local craft beers, live music, run clubs and sports team watch parties. Tapping the Vine As we reported in August, owner Howard Lathan sold his restaurant at 737 Main Street after six years in the location, and it has since reopened as Bella Kouzina, a Greek/Italian eatery. 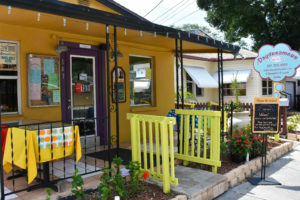 Ice Rolls, an ice cream and smoothie shop, opened at 2454 McMullen Booth Rd. in March. The shop, which is located in the Northwoods Commons Shopping Plaza, features handmade ice cream “rolls” as well as smoothies and crepes. Safety Harbor Business Beat: Spring 2017: Movies, wine and pizza cones coming to Main Street! Thanks for the article…it’s a good update. May I suggest that you avoid directing people to Facebook pages for more information? After the horrific disclosures about Facebook sharing personal data with political and marketing firms, many people are dropping their accounts, or trying hard to avoid that abusive site. I am a very light user, and yet when I saw the long, long list of places to whom My personal information had been sold, I stopped using it altogether. That’s a great point, Larry. Unfortunately, many business today don’t have websites, or their websites are very basic and not updated regularly. However, many companies use Facebook as their primary way to communicate with the public. While I understand your concerns, linking to the pages doesn’t mean anyone has to click on them. It is there to provide an easy way to find out more information about the business for those who are interested. Those who are anti-Facebook can always Google the establishment themselves.